EDF Energy talked up its investment in the UK on Wednesday at the official opening of West Burton gas power station and Teesside offshore windfarm. 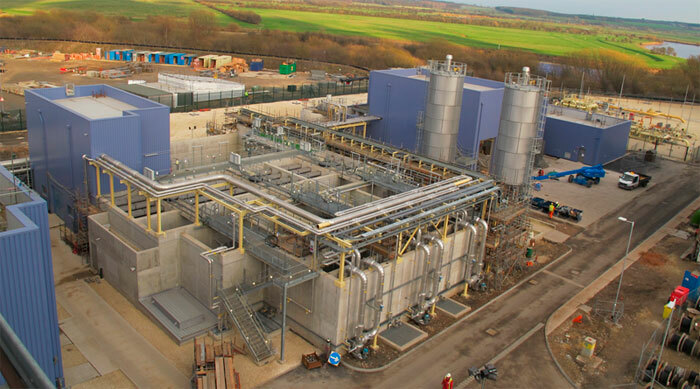 The 1.3GW West Burton plant is EDF Energy’s largest single capital investment project in the UK so far. It began full commercial generation in July 2013, despite the best efforts of protest group No Dash for Gas, which occupied the plant for a week in autumn 2012. Teesside adds 62MW of capacity to EDF’s 462MW wind fleet. The French-backed energy company has another 1.5GW of wind power projects in development. He declined to comment on energy secretary Ed Davey’s recent remark suggesting contracts to support further gas plants would be deferred for another year. As for reports the Conservatives want to cap onshore wind development, Fallon said he was “not aware of any firm plan”. EDF Energy has invested £3.5 billion in the UK in the past three years, including extending the life of existing nuclear plants, developing a new nuclear plant at Hinkley Point and building two gas storage facilities in Cheshire. More than 500 people are employed at the new gas plant, adjoining West Burton A coal plant and nearby Cottam coal power station. Vincent de Rivaz, CEO of EDF Energy, said the new energy sources “helped build the UK’s industrial strength”.